Comments due by Monday, June 30! What’s wrong with genetically engineered crops? There’s a long list of problems, from corporate control of our seed supply to unknown human health effects. One of the key problems is that the vast majority of GMO crops are engineered to withstand repeated applications of toxic herbicides. 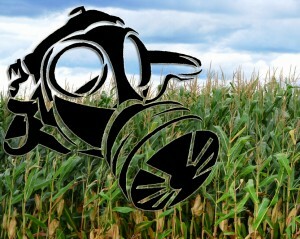 That means more chemical usage with these crops, resulting in environmental damage and human health problems. Now the biotech and chemical industry want to take it to the next level, and sell crops engineered to resist applications of the herbicide 2,4-D – one half of the toxic Agent Orange mixture. 2,4-D has been linked to cancer, Parkinson’s disease, endocrine disruption, and reproductive problems. The USDA appears ready to approve these crops produced by Dow Chemical, the same company that brought us Napalm and Agent Orange. But Dow has to pass one more hurdle: the Environmental Protection Agency (EPA). The EPA is currently reviewing Dow’s “new use” application for 2,4-D, to allow the chemical to be used on 2,4-D resistant crops. If EPA approves the new use application, Dow’s 2,4-D resistant GMO crops will be on the fast track to be planted. On the other hand, without EPA greenlighting 2,4-D as a herbicide for this use, these crops will never get on the market. The widespread use of 2,4-D that will accompany these new GMO seeds will threaten the health of rural communities and the livelihood of farmers, while Dow will reap the profits. 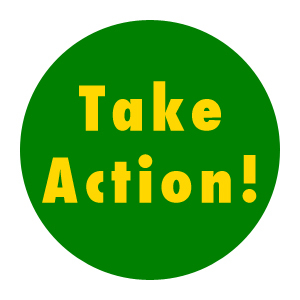 Tell EPA not to approve Dow’s request. Help us speak up on this important issue! You can use the sample comments provided below (scroll down). We recommend that you write your comment ahead of time and save it on your computer – there is a time limit when using the Federal Register System, and you may get timed out if you write your comment from scratch. Be sure to click “submit comment” at the end of the process. You should be taken to a new screen with a confirmation number – if you don’t see one, then your comment has not been submitted to the EPA. Start with a sentence or two about who you are (farmer, consumer, etc.) and why you care about this issue, or your views on genetically engineered crops and herbicides – it’s important to personalize your comments! I am writing to urge EPA to reject Dow’s application for the “new use” of 2,4-D with its Enlist line of genetically engineered seeds. This antiquated, dangerous herbicide is prone to drift off target, damaging neighboring crops and threatening the health of nearby communities. If EPA approves Dow’s new use for 2,4-D, exposure will dramatically increase. Agricultural scientists warn that widespread planting of Enlist corn, not counting the other Enlist crops, could result in the application of over 100 million pounds of 2,4-D by 2019. As you know, 2,4-D is a reproductive toxicant, suspected endocrine disruptor and possible carcinogen. This is a significant threat to the public health. It is also a significant environmental and economic threat. American farmers are deeply concerned that Dow’s Enlist corn system will threaten their crops and therefore their livelihoods. Drift from 2,4-D is already responsible for more episodes of crop injury than any other herbicide, and its vastly increased use promises still more damage to crops like vegetables, fruit, and non-GMO soybeans and cotton. While Dow says it has developed a new formulation less prone to drifting, the older highly volatile formula is still widely available and its lower cost creates a powerful market incentive to continue its use. And we know from experience that regardless of best practices put forth on paper, pesticide drift is difficult to contain. I urge you to reject Dow’s application and keep 2,4-D from being widely used across America’s farmland.